Albert Decaris Stamps! 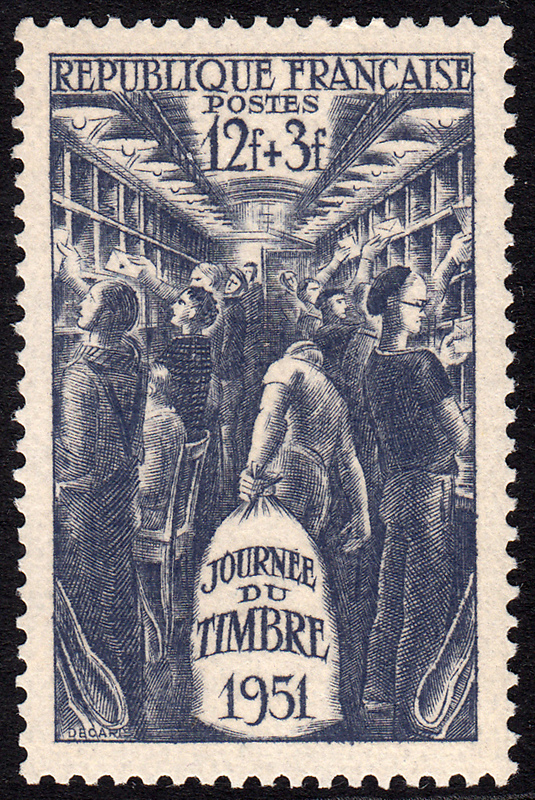 : France 1951 - Stamp Day. 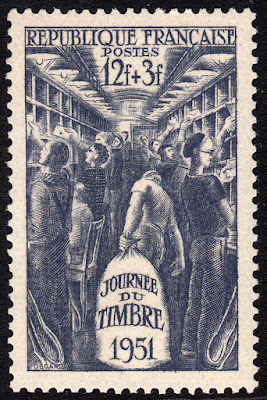 On 10 March 1951 France issued its annual Stamp Day stamp. It was designed and engraved by Albert Decaris. In a previous blog I outlined the history of Stamp Day and looked at France's 1950 Stamp Day issue (also designed and engraved by Decaris) - click HERE to check out the blog. For the 1951 Stamp Day issue, Decaris chose a rather interesting subject. 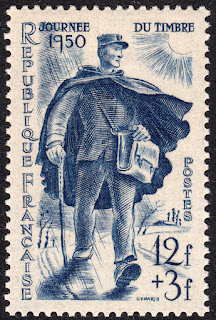 In the 1950 issue he portrayed a postman marching proudly down the street. For the 1951 issued he decided to focus on the process of sorting mail, the stage before the postman, as it were. The stamp has a face value of 12f with a 3f surcharge to be donated to the Red Cross. So what is your favourite? I never cease to admire the poise of Decaris' figures in motion, the variety of expression on people's faces, the features of landscapes as he captured them. Just consider the optimistic look on the postman's face as he strides along the dreary winter 1950 road raising his head to the shining sun. To me both stamps are classics of postage stamp graphic arts.